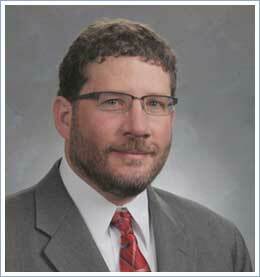 Since obtaining his Juris Doctor from Cornell Law School in 1997, David has practiced law in Colorado. For the bulk of his career, David’s litigation practice has focused on the tort and insurance fields, emphasizing personal injury, construction defect, professional liability, and premises liability claims. When necessary, David handles appeals of these matters, and has argued before the Colorado Court of Appeals and the Tenth Circuit Court of Appeals. David also devotes a significant portion of his practice to providing insurance and noninsurance clients with counsel and coverage opinions, utilizing his extensive knowledge of applicable industry standards and legal requirements. He also litigates these matters in declaratory judgment and bad-faith lawsuits in state and federal courts. He is frequently retained and testifies as an expert witness in litigation relating to claims handling and insurance bad faith. He has assisted insurance clients in drafting policy language and endorsements to address legal developments and new coverages. David regularly shares his knowledge, lecturing to insurance companies and industry groups on claims handling, bad faith, best practices, and legal developments. "Uninsured and Underinsured Motorist Insurance Law Update, A Crash Course in Motor Vehicle Accident Law 2016", Colorado Bar Association CLE, May 2016. “Update on Legal Developments Impacting Property and Casualty Insurance,” Colorado and Pikes Peak Chapters of the CPCU Society, October 2014. “Claims Handling and Insurance Bad Faith,” Auto-Owners Insurance Co., March 2014. “§§ 10-3-1115 and 1116, C.R.S. and first party claims handling issues,” USAA, December 2013. “Avoiding the Bad Faith Claim: Best Practices for Claims Adjusters,” Greater Denver Chapter of the Claims and Litigation Management Alliance, June 2013. “Insurance Bad Faith – Recent Trends and Developments,” Colorado Chapter of the CPCU Society, February 2013.